I love everything concrete so here goes. This is a Hardwrk's Massive Dock is made out of concrete. 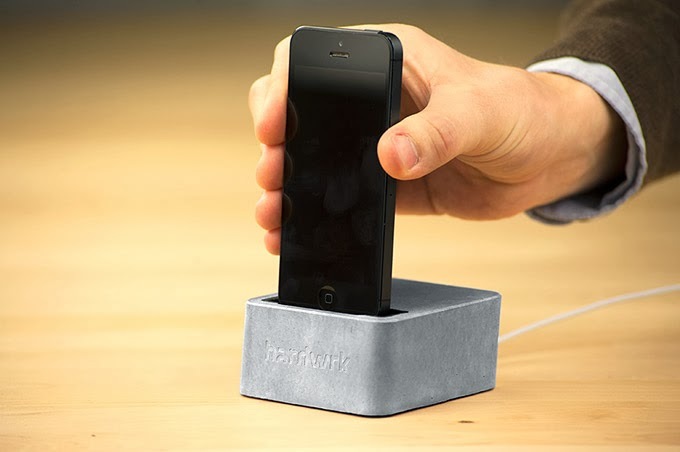 The 570g (about 1.25 lb) chunk is meant to sit and stay on your desk, featuring "the iPhone can be mounted and unmounted easily with one hand." Awesome! But at €59,90 is perhaps a bit to much... Seems like a weekend project that most people could do by themselves though.